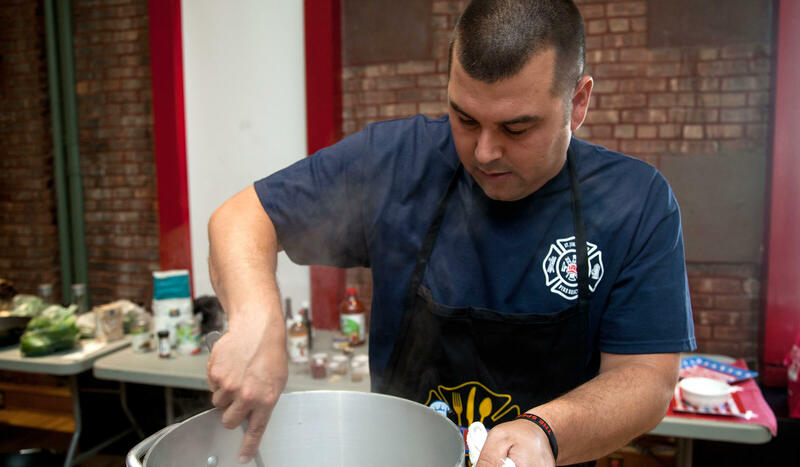 Sitting down to share a home-cooked meal is a time-honored tradition among firefighters. Born of practicality, it allows them to work long shifts and stay close to the station in the event of an emergency. It also serves what may well be a loftier purpose. Communal meals help build an espirit de corps among men and women who put their faith in each other – and their lives on the line – every time they go to work. For them, any meal could be their last. It happened that way for Spencer Chauvin, a Louisiana district chief. A minor car accident in August 2016 turned fatal when a bus came upon the site of the crash, clipping the firetruck and slamming into another vehicle. A passenger was killed, two firefighters were injured, and Spencer, 36, fell 30 feet to his death. “I miss him,” says Jeremy Chauvin, a fellow firefighter who happens to be one of Spencer’s younger brothers. He is perhaps more aware than most of the dangers of the job. 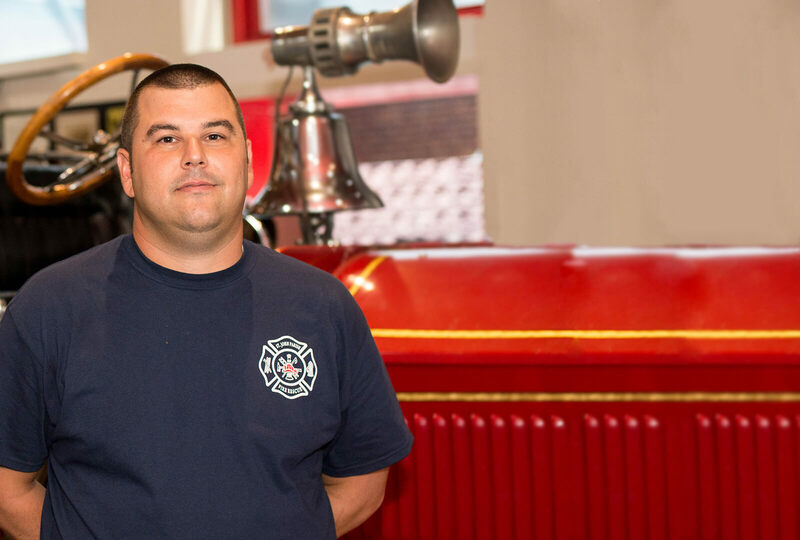 “We’ve all grown up with this in our lives,” Jeremy says, explaining that his father was a fire chief, and another of Jeremy’s brothers was a firefighter. In addition to following in his father’s footsteps, Jeremy is doing his part to feed his co-workers. He can often be found in the kitchen of his station house, preparing recipes handed down from his grandfather. 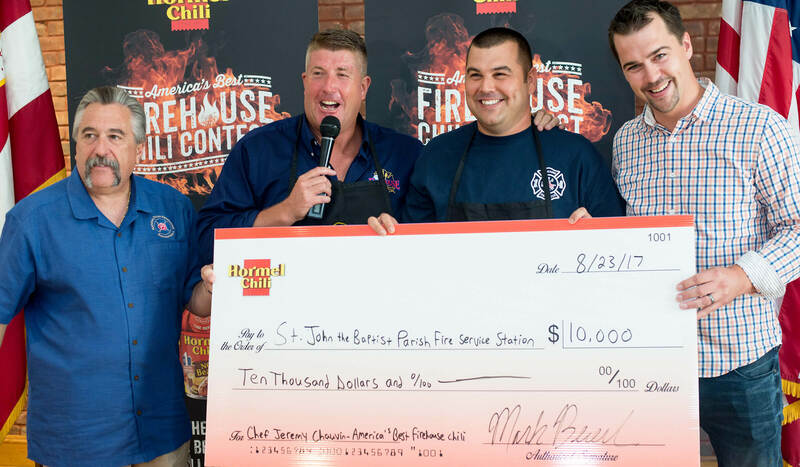 Though Jeremy doesn’t consider himself a skilled chef and hates being in the limelight, when he heard Hormel® Chili was looking for America’s best firehouse chili, he jumped at the chance to participate in the contest. The brand announced its partnership with the National Fallen Firefighters Foundation (NFFF) in April 2017 in an effort to help the organization continue its work of providing resources to the families and co-workers of those killed in the line of duty. Jeremy understood the publicity and the prize – $10,000 for the winning station – would be a way to memorialize Spencer. Hormel® Chili was also donating $20,000 to the NFFF, which, by coincidence, was planning to honor Spencer in the near future. Plus, Jeremy’s chili is nothing to sneeze at. 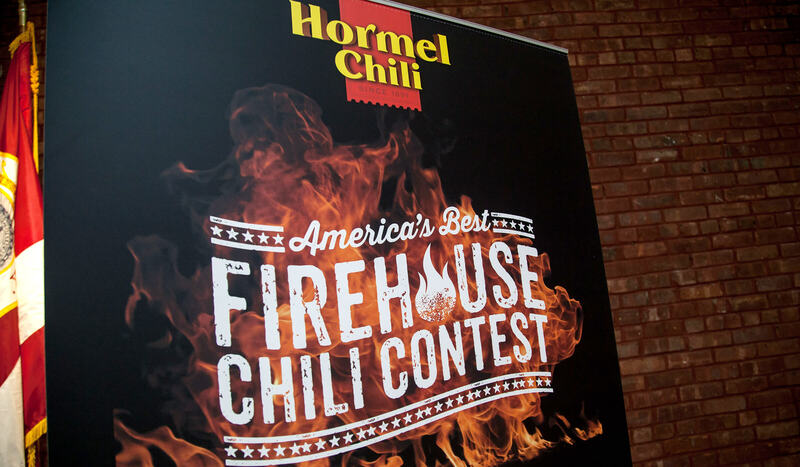 Hormel® Chili rolled out the America’s Best Firehouse Chili Contest in spring 2017, paying homage to some of the country’s unsung heroes and celebrating one of the company’s most well-known and longtime brands. Indeed, the staple enjoys 80-plus percent brand recognition and has been around since 1935. Brimming with history, the famous chili was developed at the hands of Jay Hormel, son of George Hormel, the founder of the 126-year-old company. Jeremy’s recipe has likewise stood the test of time. His grandfather passed it down, along with many others he uses at the station. Jeremy had to make some adjustments to his chili to comply with the contest guidelines. For example, name-brand ingredients weren’t allowed. “I worked on it with my mom to get it to work,” he says. When it came time to submit the recipe, Jeremy sent it with a required story. His was about Spencer. 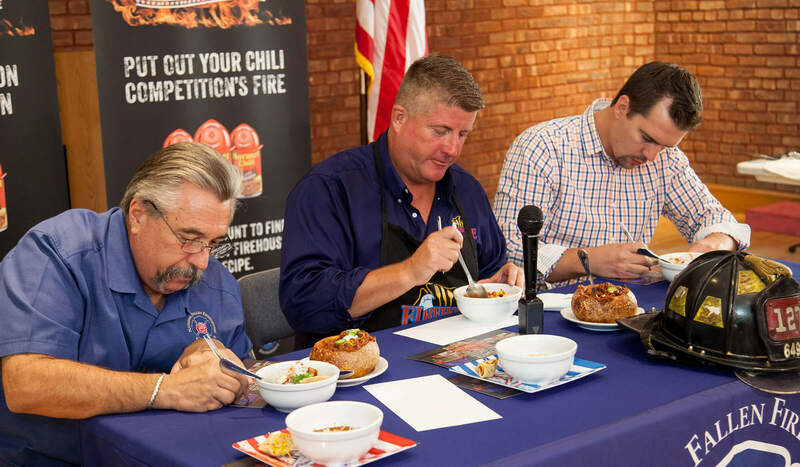 Hormel® Chili tapped Ray Cooney, a retired New York City firefighter and host of the cooking show “Firehouse Kitchen,” to judge the initial entries. He narrowed the field to 10 and invited consumers to select their top-three favorites. The finalists – Jeremy among them – were then flown to New York City to complete in a live cooking demonstration. In addition to being nervous, Jeremy was awed by what was his first trip to the Big Apple. “It’s such a different world,” he says, comparing it to Reserve, Louisiana, where his station is located. He was a long way from the New Orleans area and his wife and four children, thrust into an unwelcome spotlight. “If it weren’t for my brother, I wouldn’t have done it,” he says. When all was said and done, his chili earned the top prize. For his part, Jeremy achieved his goal: paying tribute to Spencer. “I just want people to remember his sacrifice,” he told the New York Times Magazine soon after winning. Cooking is one of the ways he carries on for his late brother, he said. That and his willingness to respond to calls for help, day or night, despite the potential cost. For someone who doesn’t like attention, it’s a curious career choice. But Jeremy doesn’t see it that way, saying he just does what the job requires of him.